Held in conjunction with the Quinns Rocks Environmental Group. The City of Wanneroo’s annual winter Community Planting Events kick off in June, with local residents invited to come along and help rejuvenate bushland, foreshores and dunes across the City. 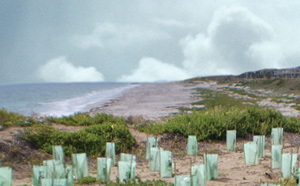 The species being planted compliment the existing vegetation in each site. For more information or to register please contact the City's Conservation Team on 9405 5000 or email: conservationmaint@wanneroo.wa.gov.au. Please bring gloves, a trowel, water bottle and wear sturdy enclosed shoes.